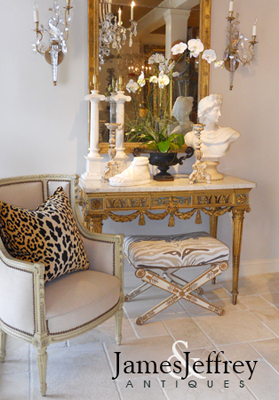 Table, having a marbelized rectangular molded top with bowed sides, on conforming base of giltwood, its foliate carved apron centered by cartouche, raised on acanthine cabriole legs with scroll toes. CONDITION: Excellent antique condition. Wear consistent with age and use. 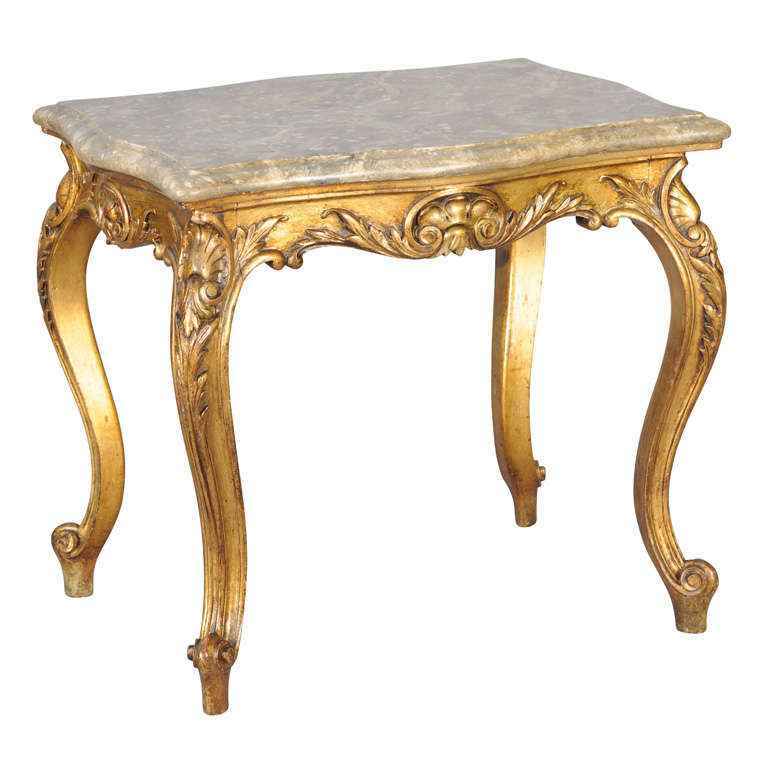 Table, having a marbelized rectangular molded top with bowed sides, on conforming base of giltwood, its foliate carved apron centered by cartouche, raised on acanthine cabriole legs with scroll toes. CONDITION: Excellent antique condition. Wear consistent with age and use.